I was reading cards in the humour section last week and couldn't help but smile when my eyes found an animated card on the middle shelf. A mother and her teenage daughter are chatting together and the daughter expresses; "I've got hundreds of friends on instagram and twitter that I've never met." Her mother responds; "When I was young we called them imaginary friends". The mother's response is funny and fairly accurate although with the creation of social media, in the last few years, I too have acquired friends of whom I have never met. Most of the time we have shared interests and see each others lives through the medium of text and photography, 'liking' and commenting on posts and tweets to support and engage. Malcolm Morris or better known to me as @gingerjeweller is my instagram friend but more importantly a talented jeweller with forty years experience. After studying at Birmingham Jewellery School and Middlesex University, Malcolm started his namesake brand and creating one-off tiaras for films such as 'Shakespeare in Love' and 'The Wedding Date'. Malcolm's jewellery which takes inspiration from natural forms, are entirely made and finished by hand in the UK. 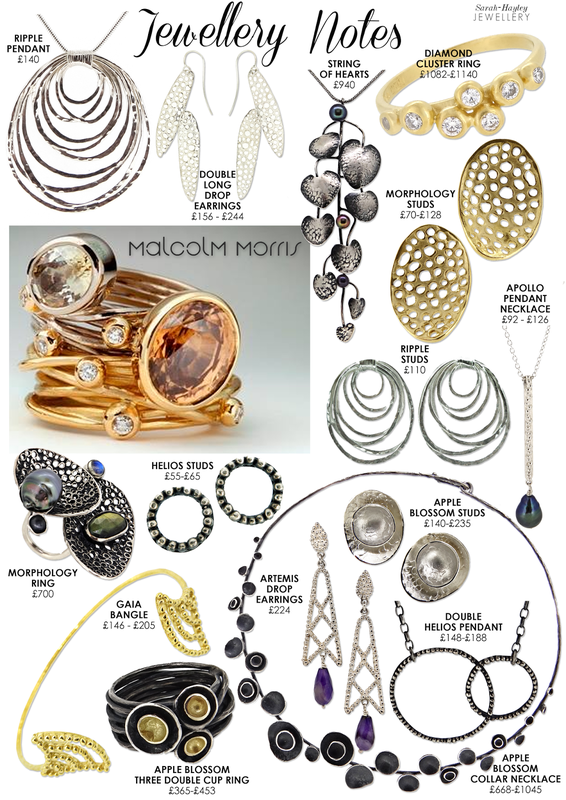 I love the simplicity of Malcolm's collections, reminiscent of Roman jewellery combined with a modern twist. I have many favourites from the Apple Blossom Collar to the Morphology Ring although I also love the Gaia bangle for it's elegance. Malcolm also offers an exciting Bespoke Service for anyone who would like to recycle their old and unworn gold and diamond jewellery and turn them into beautiful new pieces. You can see a selection of these before and after pieces in the gallery here.